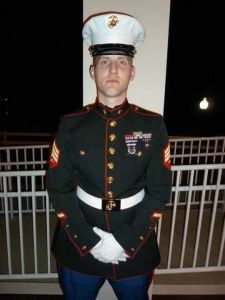 The Round Lake Area Exchange Club and sponsor, Collision Solution, are proud to announce the May hometown hero, U.S. Marine Staff Sergeant Steven Sanders of Ingleside a 2002 graduate of Grant High School. He was registered for this honor by his parents, Steven and Janet Sanders also of Ingleside. 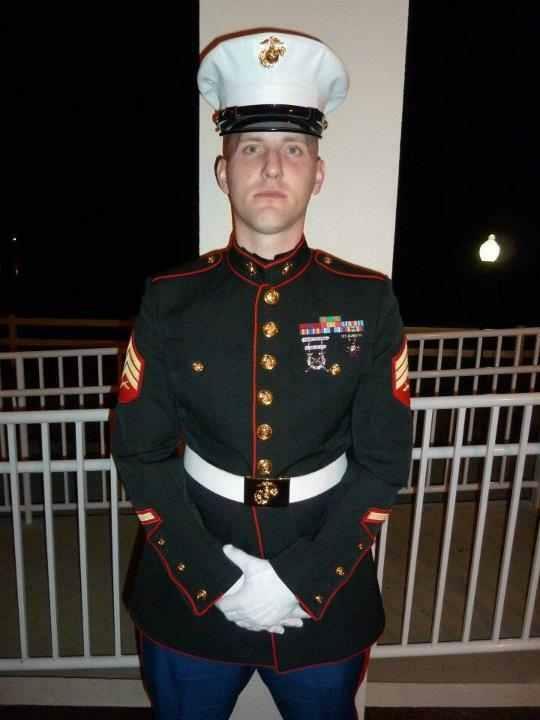 Sanders has been in the Marine Corps for 8 years and is currently deployed in Afganistan.He has has received the following awards: Navy/Marine Corp Achievement Medal, Humanitarian service medal, Global War on Terrorism Expeditionary Medal, Marine corp Good Conduct Medal With bronze star, National defense medal and Sea Service ribbon with 2 stars. Sanders is married and has one daughter. All heroes receive a “Hanging with the Heroes” care package delivered with a personalized “Hanging with the Heroes” t-shirt (donated by Artrageous of Hainesville), a piece of home and letters from Round Lake Area School District 116 students. Sanders package will also be filled with snacks and items often requested from those serving in Afghanistan, such as toothpaste, soap, chap stick, etc. thanks to the support of this months sponsor Collision Solution. The Round Lake Area Exchange Club will present a plaque to family on Wednesday, May 22 at 7:30 a.m. at Panera Bread in Round Lake Beach. Any and all military personnel serving overseas or in the USA from any of the Round Lake Areas, Hainesville, Fox Lake or Ingleside qualify for the program. If you have a neighbor, family member, friend, employee, employer, etc. serving in the military please register them by going to www.rlaexchange.org/hero, five minutes is all it takes. We look forward to announcing the June Hometown Hero. For more information visit the web site or you can contact Sherry Ridge at 847-740-2379.